I'm super excited to see how they pulled it off, especially considering the way the Canyon car handles differently than the Island and Stadium cars from United. Click on Canyon and download its client update. Restart ManiaPlanet one more time. Click on the newly loaded Platform station and enjoy! A new dedicated server will be released tonight or tomorrow to support the new mode. It will be fun to see how it goes online! Epic. Can't wait for the new blocks they're showing in the video. 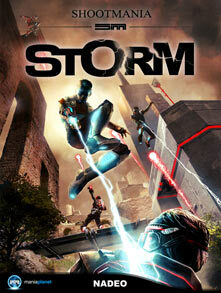 Buy now to get instant access to ShootMania while they finish beta-testing. 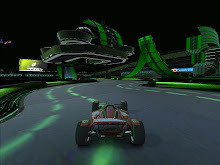 Then come play it and TrackMania on the Friday Night Gamers' servers! The wait is over! 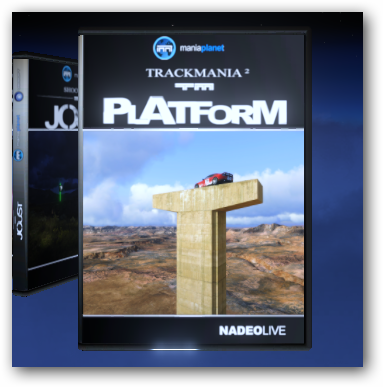 Nadeo's epic new game, ShootMania has gone into Open Beta. Even better, they've discounted the price on pre-orders and allow purchasing 3 and 5 packs so you can get all your friends in on the action! Those that know me know that I'm anti-FPS for the most part, but this game is a hoot. It's like an epic game of freeze tag with a bunch of fun modes. And with Nadeo's outstanding technology for custom content creation, this game will expand into an even more incredible game than it already is. 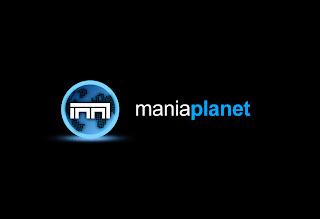 Included in this release is the new and improved ManiaPlanet 2.0, Nadeo's one-stop-shop for all your Mania games, which allow quicker connection with your friends so you can spend more time playing than searching. Quit reading already and come join the fun. Get your copies of ShootMania ordered today while the price is discounted! ShootMania goes Beta; and FNG goes with it! Near the end of last week, ShootMania went Beta. Several Friday Night Gamers recevied keys thanks to the generosity of Nadeo, both in their beta signup and with those of us that played through the Alpha. DirtyD brought a friend, whose last part of his alias is "blase" but I can't remember the first (we were calling him by first name)... and ThatOneGuy, Mando and DungeonsMaster had a guest named "jared". We hope they will join us again. Those in attendance were scattered throughout the night, but our server was filled with the maximum 16 players for the majority of the night, and we all had a blast. We took a short break from our server to join an Elite server and try that mode out. It was fun, and I hope to set up our own private Elite server so we can give it another go with solely FNG to see how it plays out. Our beta access is only good for a 7 days, so I hope all of you that have keys will join us as much as possible throughout the week, even if only for short sessions. We might get an extension, but we're not sure how/when yet. I will take some screenshots of us in there sometime this week. We will give you a sneak peak of a couple of maps FragMonger made during the alpha, and are getting some nice attention from players around the world. For those of you waiting for beta access, each week Nadeo will be giving new players beta keys, in chronological order of when they signed up on the site. Sign-up is closed now, but those that made it in before closing should get a 7-day key before the open beta comes... so hang tight!